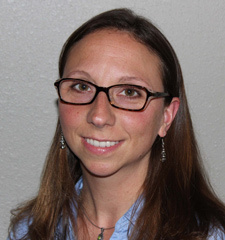 Jill Egizio is a Licensed Clinical Social Worker and earned her Master's Degree in Social Work with a specialization in Community Mental Health from the University of Illinois at Urbana-Champaign. Jill has been working professionally in the Peoria area since 1998. She has a broad base of experience in individual, family and group psychotherapy and in various settings, including healthcare, community mental health, eating disorders, juvenile corrections, psychiatric crisis and private practice. Jill is experienced in treating those struggling with depression, anxiety, eating disorders, anger management and adjustment to difficult life transitions. Her approach with each client is one that is personalized and solution-focused. Jill honors the art of listening and holds this as a cornerstone of the therapeutic relationship. Jill believes in living cruelty-free, simply and with gratitude. Some of Jill's passions include body image acceptance, a non-dieting approach to managing health and nutrition, empowering women to thrive despite gender role pressures and enhancing each person's unique strengths. People often seek therapy during difficult life transitions, and Jill strives to help each person discover a fulfilling path in life.